Have You Tried The New Let's Go RVA Beer from Sierra Nevada? Brent Baldwin The Sierra Nevada Lets Go RVA IPA tap stands tall at Boulevard Burger and Brew. 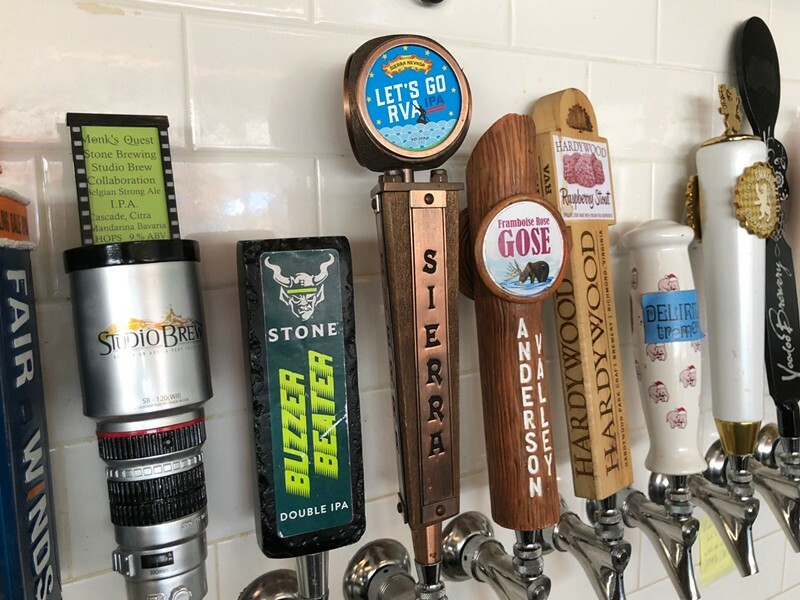 As I was scrolling through Trinkin, a locally owned application that shows you where and what beer is on draft near you, I noticed Let’s Go RVA IPA. At first, I assumed this was a beer name mix-up: Hardywood Park Craft Brewery has produced RVA IPA, a community-centric IPA using hop rhizomes donated to interested growers in the Richmond community, since they opened their doors six and a half years ago. A little more research showed it wasn’t a mix-up. It’s a collaboration between SportsBackers, the non-profit whose goal is to foster a physically active community in Richmond, Venture Richmond and Sierra Nevada Brewing Co., the long-running brewery based out of Chico, California, for the upcoming Dominion Energy RiverRock, a large outdoor festival happening May 18-20 on Brown’s Island. So the all-important question: What does it taste like? The Session IPA is 4.8% ABV and is pale clear yellow in color. It’s an accessible quaff with low hop bitterness (seven different hops were used: Magnum, Citra, El Dorado, Loral, Nelson Sauvin, Mandarin Bavaria, Huell Melon). Easy drinking for an all-day outdoor festival. How did the two get together? Sierra Nevada is a four-year sponsor for the outdoor festival. SportsBackers, knowing that Sierra Nevada would again be sponsoring the festival and providing beer, saw a natural tie-in to Richmond’s burgeoning beer scene. They collaborated on the style, created the artwork for the tap handles, and named it based on SportsBackers’ upbeat slogan, Let’s Go RVA. If you can’t make it to the festival, you can find the beer at these local spots: Boulevard Burger and Brew, Capital Ale House (Main St. location), Colonial Kitchen & Market (New Kent), Dash In Dash Out, Fat Dragon, Heritage, Independence Golf Course, Jack Brown’s Beer & Burger Joint, Kroger (14101 Midlothian Turnpike), Salisbury Country Club, Southern Railway Deli, Strawberry Street Café, The Caboose (Ashland), The Hop Craft Pizza & Beer, Toast, Whole Foods Market (11173 W. Broad Street), Wong Gonzalez, and Zzaam Fresh Korean Grill.